Sarah Nader - snader@shawmedia.com Huntley's Justin Frederick (left) takes a shot during the third quarter of Friday's IHSA Class 4A Regional game against Larkin on March 2, 2012. 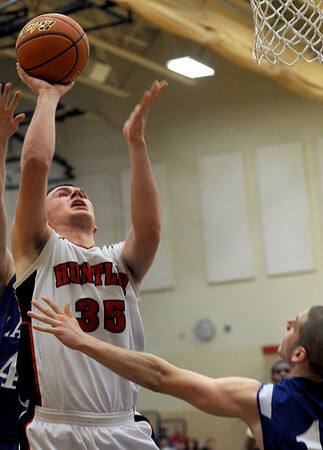 Huntley won, 46-42. 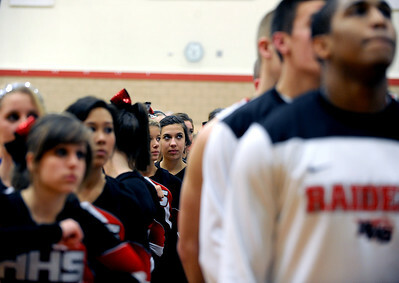 Sarah Nader - snader@shawmedia.com Huntley cheerleaders and the boys basketball team listen to the National Anthem before Friday's IHSA Regional game against Larkin on March 2, 2012 Huntley won, 46-42. Sarah Nader - snader@shawmedia.com Huntley's Amanze Egekeze gets ready to shoot a free throw during the fourth quarter of the IHSA Class 4A Regional on Friday, March 2, 2012. Sarah Nader - snader@shawmedia.com Larkin's Blake Grantham (left) jumps to block a shot bye Huntley's Jake Brock during the second quarter of Friday's IHSA Class 4A Regional on March 2, 2012. 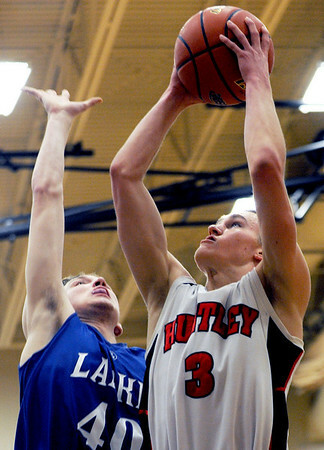 Huntley won, 46-42. Larkin's Blake Grantham (left) jumps to block a shot bye Huntley's Jake Brock during the second quarter of Friday's IHSA Class 4A Regional on March 2, 2012. 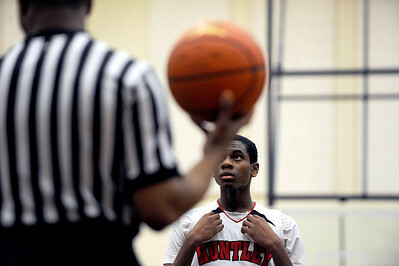 Huntley won, 46-42.